Strong recommendation letters are a must! When applying for graduate school, scholarships, fellowships, or internships, it is important to have strong letters of recommendation because this is one of the methods that application reviewers get to know you. Many times, you will not able to impress them in an interview as there just isn’t time to interview everyone; as such, the letter of recommendation should portray what you have done and what others think about you professionally. In order to have a strong letter of recommendation, consider these ideas:1. find someone who has known you for a while because you want someone who can speak to the depth of your abilities; plus someone who has known you for a while is a more credible recommender than one who has only known you for a limited amount of time; 2. find someone who has some clout; as much as it is important to find someone who knows you well, reach out in your connections someone who has some clout in the community, either academic, professional, or otherwise; 3. find recommenders that provide variety in your application; if you have one academic recommendation, then find another one who can speak to your professional abilities, etc. Being able to place your foot forward through your recommendations is key, and your recommendations can serve to be the one big push to get you accepted or awarded. Good luck! To present an undeniable application package, show the program that you are currently participating in the very activities in which they expect their current students to be involved. Aiming for a PhD program, highlight any research that you may have conducted in a masters program. Make mention of the refereed journal articles you have read and how those articles have influenced the way your approach your research or even altered/reinforced your research interests. Otherwise, you can take the approach I did: get relevant recommendations from royalty. Three high ranking administrators/professors from my undergraduate/masters institution (I got both my BS and MEd from the same university) wrote the recommendation letters for my PhD program. To reflect my academic prowess and scholastic accomplishments, I had the director of the Honors Program, with whom I both taught and taken classes, write my first recommendation. Because I was applying for a PhD in Higher Education and Student Affairs, I got my second recommendation letter from the president of the university. As an added bonus, he also happened to be an alum of the institution to which I was applying. Finally, as mentioned earlier the program has Student Affairs in its name, so I had the Vice President of Student Affairs write my final recommendation letter. It is kind of difficult to deny someone admission to a Higher Education program who has recommendations from the King (president), Prince (vice president), and Dutchess (Honors Program director) of a kingdom (research university). In which case, I suggest finding the heavy hitters in your field, and ask them to write your recommendation letters. Of course, this works best when you first have a relationship with these scholastic celebrities. Understand that they may not necessarily be the leading researchers in your chosen field, but getting a recommendation from the highest ranking professors on your campus still speaks volumes about your potential. It means someone who actually has a lot to lose feels confident enough in your abilities to put their good reputations and credibility on the line. Not much time is left before graduate school applications are due, ask a member of your academic field’s royalty for a recommendation today. Don’t forget to give your writers PLENTY of notice. I’ll just go ahead and say it, asking people to write me letters of recommendation is one of my LEAST favorite things to do. Asking for letters of recommendation can be stressful. You have to find the right people to ask, hope that they are willing to do you the favor, and then relinquish a little control over how you will be represented to admissions committees. Yuck yuck yuck. The whole thing makes my stomach churn a little, every time I have to do it. Unfortunately, this process isn’t going away any time soon, so here are my tips for making the process less painful. Ask right away. – As soon as you know who you are asking, don’t procrastinate. Give that person as much notice as possible. It’s the courteous thing to do, and it leaves you room to send reminder emails later. 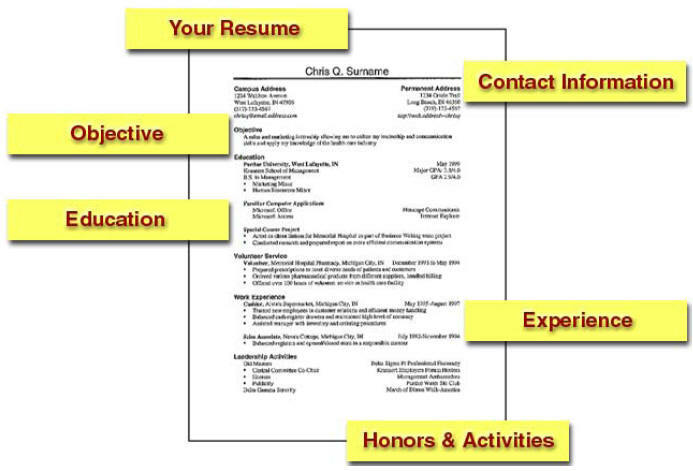 Why you’re applying there and why you’re a good fit – A brief summary will help your “recommender” construct a more detailed letter. Your current CV and any other application materials you’ve completed – Your recommender won’t be able to remember all your qualifications off the top of their head. If you don’t hear back, follow up. – Once someone has agreed to write you a letter, check in with them when the deadline is drawing near – I would say somewhere between one to two weeks before the letters are due. A gentle reminder might be necessary (students aren’t the only ones who procrastinate). Say thanks! – Yes, it’s kinda in the job description that professors have to write recommendation letters, but it’s also nice of them to take time away from their other responsibilities to construct a thoughtful letter on your behalf. So show your appreciation with an email or better yet a thank you note. *Only ask people to write your letters if: (1) they know you in at least a classroom capacity, but ideally they also have a sense for a range of skills you possess (e.g. teaching, researching, communicating in class, etc.). (2) you are confident that they can write you a strong letter. * Be strategic in who you will ask for letters and how you will ask for them. Anyone can write you a letter of recommendation; not everyone will write you a glowing one. Not only do you want a stellar letter, you also want a letter that will come from a person who is well-positioned to evaluate and speak to your strengths. On this note: ALWAYS ask for strong letters; a mediocre letter will only hurt your application and you don’t want that—and, in all likelihood, neither does your letter-writer. * Communicate with your letter-writers WELL in advance of deadlines. I typically give at least one month whenever I can—though I have had to ask faculty to write letters for me in a pinch. As soon as I find a grant (job, fellowship, etc.) that I want to apply for I put it in my calendar and set a few reminders to myself about sending out emails soliciting letters well in advance. * If you’re asking someone to write a letter and they have never written one for you before be sure to ask them what all they might find useful in writing their letter. * Regardless of whether this is their first letter for you, you should do your best to get them a copy of the materials (even if they are rough) that you will use in the application they are writing about. I often also send a copy of my CV and, as appropriate, an abstract of the project I’m proposing in the grant (in addition to the complete materials). * If, for any reason, someone is not able to write a letter for you—whether because you haven’t done well working with them, they’re swamped, or they have a conflict of interests—don’t freak out! It isn’t the end of the world! * Assume you have a right to letter writer’s time, energy, or their good graces. It is always an honor to have someone write a strong letter on your behalf, and I’ve found that the more I share with them about how much it means to me, the less faculty hesitate to support me. * Ask someone to write a letter for you that is due two days later. That’s never good form! * Be too shy: if you need a really strong letter then you have to be up front about it. Most people will write a letter if asked to; that doesn’t mean it will be what you want.